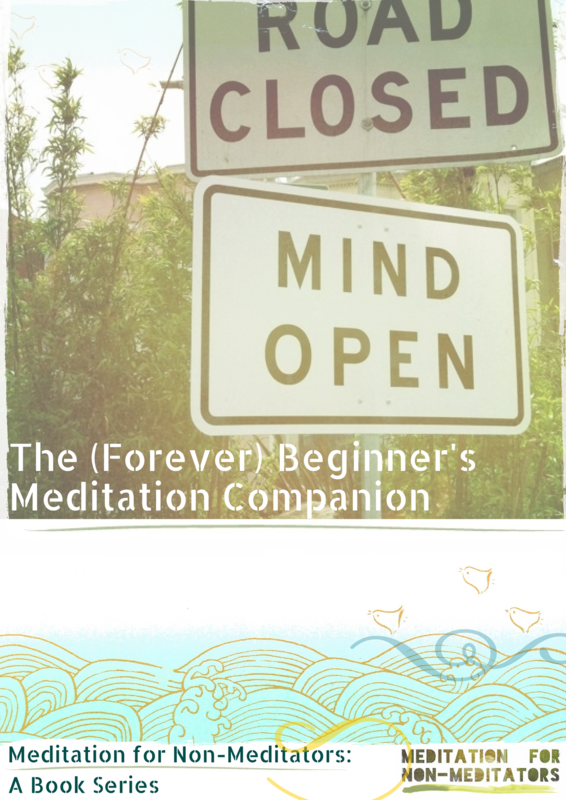 new book "The (Forever) Beginner's Meditation Companion"
Techy stuff about my upcoming book The (Forever) Beginner’s Meditation Companion and the Meditation for Non-Meditators Book Series. All self-published, digital-only. Recently, I’ve released a number of cats from bags about my new book. Seems these cats got legs and know how to use them. If you subscribe to my mailing list, you’ve been getting “drips” averaging 6-12 pages in length of the book in my emails for your downloading pleasure. If you’re connected to me via twitter or Facebook, you might-be seen these screenshots. Maybe you made in impromptu visit to one of my 2 websites (this one or meditationfornonmeditators.com) and caught a whiff of a new book there. Rather than answering them all– the emails, social media private messages, etc. I decided to write this post and link to it as my answer. The most buzz seems to be around the fact that I wrote it mostly on an iPad using Evernote and Pages while rocking in a creaky old chair or laying on a yoga mat. Mostly, you’ve been delighted and I’m delighted that you’re delighted. So, I’ve selected the most common Q’s and am A-ing them here. There’s more work in self-publishing, so ease isn’t the reason. There’s less heartache and headache. No one to tell me I can’t use that cover or that title. No one to shave off all the juicy parts and drop them on the cutting room floor for the janitor to read before he sweeps up. I get control and get to do it my way. 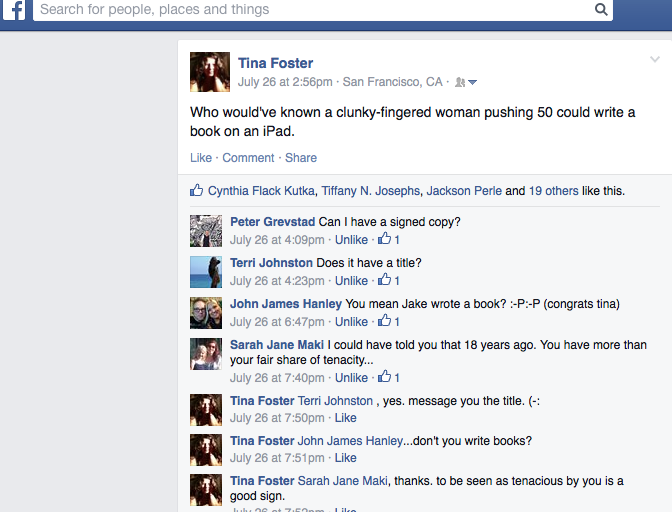 I don’t think I’d bother to write a book otherwise. It’s hellacious work, puts you up in your head too much. Terrible on the hands and shoulders as well. All that pain for so little financial gain. What little money there is, I get to keep. to help cover the costs of creating it. A: Easier on the trees, though digital is hardly environmentally friendly. I love the portability of digital books. The book is always with you. If you find a free moment to read, just whip out your phone, kindle or iPad. I like how digital books remind us that the book is the ideas and the content, not the 3 pound rectangle that gets all dirty and ruffled up in our book bag, the one we might feel so romantic about. I love paper books and even know how to bind and repair them, but digital gets us not back to the nitty-gritty, which isn’t the book’s form or the object it is, but what the book is **about. a highlighter pen, tap a word to look up its definition– and more. Q: Why on an iPad using Evernote and Pages? A: It just happened. I kept getting tired of typing and sitting in the same place where my laptop lives. So, I tried loading the laptop up and carrying it elsewhere– my studio, cafes, etc. as an antidote to the stir-craziness. But the laptop was heavier than the iPad. My fingers could do a different typing-dance on the iPad. And I could change locations even more frequently. Not to mention that I could use voice recognition and relax my hands entirely. And “write” while walking down the street– or whenever the muse struck. Voice recognition allowed me to “write” in a more conversational style, which made the book a little lighter and breezy to read. I first used Evernote out of convenience. It was on my iPad. Best of all, Evernote syncs automatically to all my other devices. No saving to flash drives or emailing versions to myself and getting all the versions mixed up– which was the newest draft, etc. 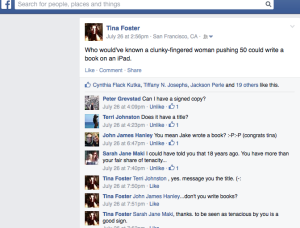 Then Pages was what I used when wanting to share it with someone to get their opinion or for editing. Pages made the manuscript look a little more like the future formatted book it would soon become. When formatting, I got to think about how I wanted the final book to look, do some trial and error. And get people’s opinions about the look as well. Plus, Pages was on my iPad. Also, I could in one easy step create versions of the book to preview in iBooks and Kindle, to see what my formatting would look like in those formats. It was really just doing what worked and was the most liberating at any given moment. Somewhere along the line, I realized I’d found process that was new to me. I got interested in seeing how far I could take the process. The answer: all the way. I’m not an affiliate for any of the products mentioned here. Nor am I receiving any compensation whatsoever. I’m just always glad to do something that you’re interested in and that you want to know more. And I’m interested in you. What do you think? Have you ever written a book this way? What was it like? Other non-conventioanl book-writing experiences you wanna share?